The intricate, overlapping, angular design of this deck was accomplished with detailed and exacting installation of the deck structure and IPE decking. 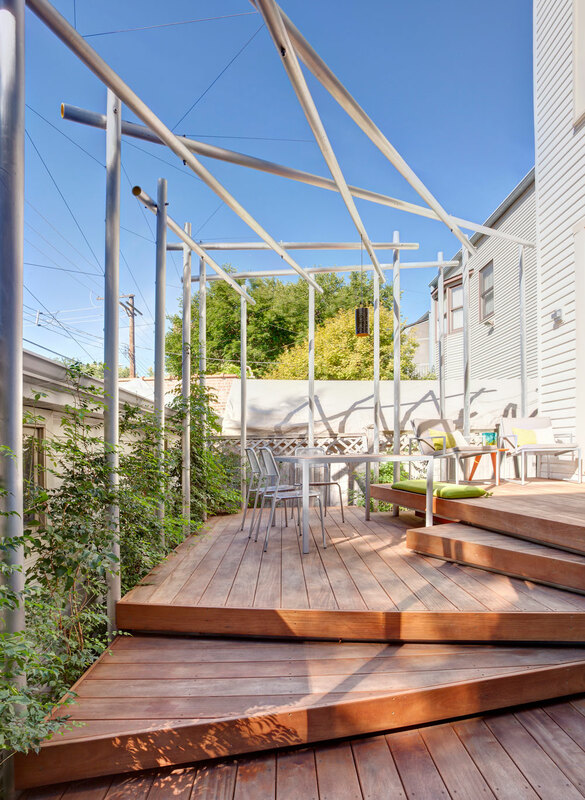 The tubular aluminum trellis with stainless steel cable lattice required additional precision to accomplish the design intent of the architect. This system will provide framework for the growing vines that will eventually supply privacy and shade to this reclaimed outdoor space.